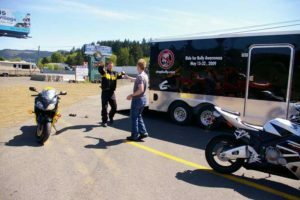 Our first ride took off in 2009 with four riders – spanning 10 days up and down the North American West Coast. 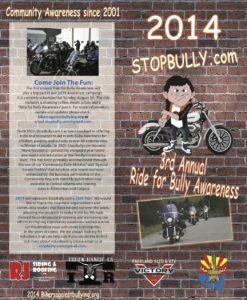 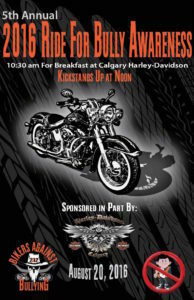 In 2011, the format ride format changed a bit with a focus on bringing awareness to more areas at one time – so we joined forces with other independent riders and Motor Clubs, as well as forming our child organization – a Motor Club, Bikers Against Bullying, to kick off our Annual Ride for Bully Awareness. 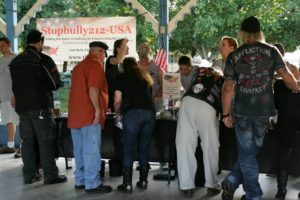 By 2012, we had rides operating not only in Alberta, Canada – but in Clovis, New Mexico, South New Jersey – and by 2013, in SEVEN other countries and 90 locations. 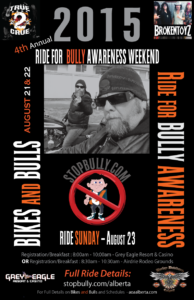 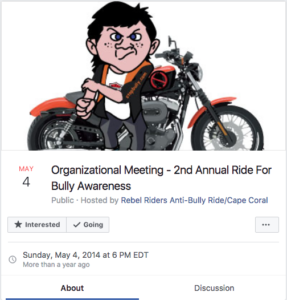 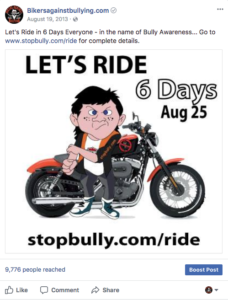 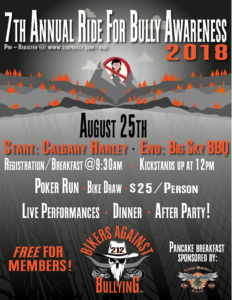 Texas and Florida soon joined on a more permanent basis and as of 2017 we have Chapters and riders revving up in several states, countries, and locations for Bully Awareness – making it the largest international ride of its cause.